The demand for websites that can deliver excellent user experience across a vast array of digital devices is indeed on the rise. With over 50% of web visits now being accessed on portable devices like smartphones and tablets, any serious entrepreneur or business owner that intends to launch an online platform should prioritize the responsiveness of the web platform over everything else. While the most popular web building platform on the internet, WordPress, does exhibit a satisfactory level of responsiveness, its performance on mobile devices and other digital media is highly dependent on the quality of the theme used for the website. Since over half of a site’s prospective visitors are bound to access the platform via their mobile devices, it is quite risky to not be able to build a website that guarantees responsiveness. There are different ways web designers and WordPress experts go about building highly responsive websites for their clients. Many achieve this feat by merely choosing basic website frameworks that allow them to incorporate highly flexible layouts, which can be easily replicated on any smaller device. Another way website responsiveness can be implemented is with the resourceful tool, Bootstrap. 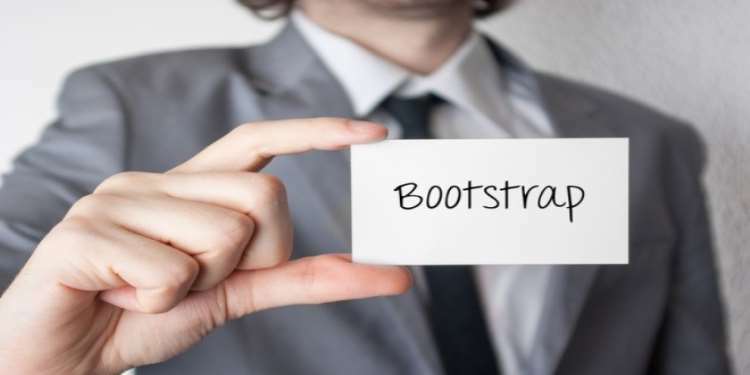 Bootstrap is another useful website building tool that falls under the same category as the above mentioned three web building platforms; it, however, functions in a slightly different way and focuses more on the structural backbone of the web platform. The web building tool was released in 2011 by the renowned social media company, Twitter, and functions as a front-end web framework that can be used to design a well-customized website within a short period of time. There are many features inherited by websites that can be attributed to the use of Bootstrap as a website building tool. Though most functions exhibited by Bootstrapped sites aren’t restricted to the framework tool, some are in fact difficult to replicate with other web building tools on the internet. The websites created by Bootstrap usually bear a look of simplicity that is mostly due to the basic framework and layout that are used to design them. Every element of a typical Bootstrap website is usually placed into the framework in a way that improves the overall performance of the website. A website’s user experience is perhaps the most effective KPI (Key Performance Indicator) that can be used to accurately gauge the productivity of the website. This is especially true if the website is new and yet to begin making money from marketing opportunities. Bootstrap has one of the best user experiences that can only be rivalled by the much-renowned CMS, WordPress. Since its core elements are coded with basic HTML and CSS modifications, the features they can exhibit, help visitors to effectively navigate the designed sites and also execute other queries perfectly. It is non-negotiable now. You cannot build a website that isn't properly displayed on a variety of devices. With mobile display becoming an important criterion used by the search engine company, Google, to rank sites, it is simply reckless for anyone that wants to build a website to disregard responsiveness as a crucial feature to implement. Bootstrap is perhaps the only web building tool that guarantees the effective display of a website on a mobile device, simply because its framework can develop a uniform structure that can easily modify itself to fit multiple display screens. It’s one thing to list the functionalities of this utility web building tool but another to elaborate on why it may be the ideal web building solution for you. First and foremost, Bootstrap is a completely free web building tool, since it is an open-source resource that can be easily accessed due to its open user license. The commercial usage of the tool isn’t restricted as well, and you can make use of any Bootstrap framework to create the basic layout of your business website. Using Bootstrap also saves lots of valuable time that would have been wasted trying to mash up numerous codes to create a web platform. Any customization effect you wish to implement can be done with only a few clicks regardless of how complex it appears to be. Bootstrap is also quite easy to use not only because its mode of operation is highly adaptable but also because the tool comes with comprehensive documentation that easily guides you through the entire process. Bootstrap belongs to the new generation of website builders that requires very little knowledge about coding to be able to use successfully. Perhaps its most valuable advantage is the existence of a thriving Bootstrap community where different kinds of queries are submitted and resolved by very committed members. The Bootstrap community on the Github platform is filled with only respectful and polite people who are also competent and can provide solutions to any Bootstrap-related issues you may be facing. Website responsiveness is an utmost priority if you wish to create a web platform that will be a representation of your brand. Though most web building tools on the internet can provide this feature, only Bootstrap guarantees it, since it is tailor-made to deliver multi-display functionality. Responsiveness is the most valuable feature of an ideal website because it ensures that mobile users can have access to the website on their devices without having to endure a drop in the quality of the site. Bootstrap is perhaps the only web building tool that guarantees the mobile visibility of a site. Here is why you should consider using the tool when building a web platform for your business.